Wildcat! Wildcat! 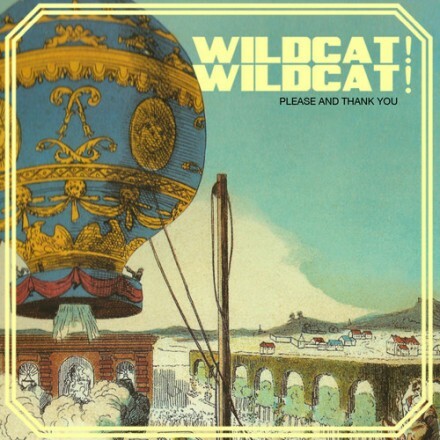 – "Please and Thank You"
Like their name, California-based trio Wildcat! Wildcat! stand out like a sore thumb. It could be a mixture of a video filled with a dancing man/woman in a cat costume and a smooth falsetto possessed by dual lead singers Jesse Taylor and Michael Wilson. Regardless, they are worth your time; since 2011 they have been putting out solid tracks that can hardly be ignored. Their new song "Please and Thank You" follows the synth-heavy trend of their early release, but screams emotion in place of the head-bopping melodies of their previous two singles. Stream or download their self-released new song below, and watch their video for 2012's "Mr. Quiche" (music starts at 0:44) — you won't be disappointed. Keep an eye out for Wildcat! Wildcat! 's momentum as they are coming off a tour with Alt-J.